In this, the sixth in our series on vertical industry communications, we review communications technology requirements and applications in inpatient health care. As has been the case throughout the series, this post uses the term “unified communications,” or UC, to describe the evolution of communications technologies, though we see the term morphing into “business communications,” or BC. Inpatient health care is an important industry sector in all societies, since the services are critical to those who need them and since the costs of health care are significant -- for patients, the insurers, and governments. Inpatient health care, exclusive of the physicians who refer the patients and participate or oversee the treatment plan, employs five million in the U.S., representing about 3.5% of total non-farm employment, according to 2018 U.S. Bureau of Labor Statistics data. If all physicians were included, the total would rise to 7.5 million, representing 5% of non-farm employment in the U.S.
All health care, and especially inpatient health care, is a disciplined industry. The industry must follow specific guidelines for everything related to patient care, due to the importance of the outcomes for the patients as well as for various regulatory and reimbursement requirements. In most cases, these guidelines are only changed when improvements have been tested through research and clinical trials. Thus, changes in communications technologies for inpatient care also require rigorous planning and testing. Please note that the communications perspective of this post is a view into the future, rather than the past. In other words, this is an aspirational view. Some hospitals are already well along the transformation suggested in this post; others are hindered by issues such as culture, risk aversion, labor union rules, or other barriers. However, the benefits of UC integration into the workflows are real. Some healthcare organizations will embrace them now; others may not move quickly but will find that UC functionality makes its way into their operations as part of the inpatient care software applications from companies such as Cerner, Epic, and others. Inpatient processes fall into three broad groups or cycles, each of which is communications-intensive in distinct ways. With UC, often in combination with electronic ADT or electronic heath records (EHR) systems, these communications can be automated and facilitated with application software. 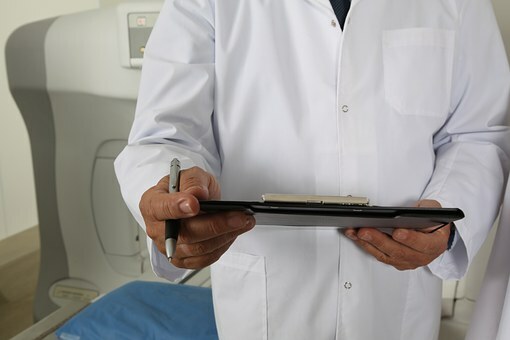 Instead of on paper and in person, almost all communications can be conducted by posting to the patient-related records in the ADT or EHR systems. In addition, automated text-based processes (bots) are or can be integrated into the ADT or EHR systems. These processes are represented by the Information Processing or Production Usage Profiles. UC benefits in these processes are primarily the reduction of delays in patient throughput. This in turn can shorten patient stay, lowering costs, and may allow for increased occupancy rates, thereby increasing facility revenues or reimbursements. Benefits may also include improved admissions flow, especially from the emergency department. This helps reduce backlogs.